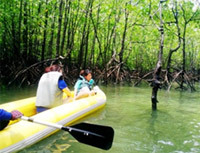 This day tour will invite you to meet and do the activities with all nature concerns. Visit the unseen amazing place of Waterfall at Krabi National Park. 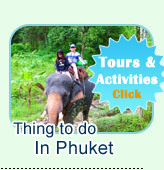 Visit the Wildlife Center of Phang Nga. The bellowing is the highlight pictures and detail of the program which we recommend you to see and read all the detail before submit the booking. Than Bok Koranee Waterfall is a great place for relaxing your soul, keep calmly and get more freshly with the real nature of the waterfall in the thick safari. 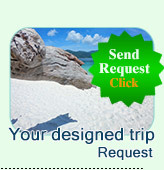 Visit the Wildlife Animal Reservation Center. 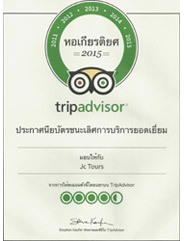 Learn, Study and know all kinds of tropical safari animals. This center do rehabilitation, breeding and release them. 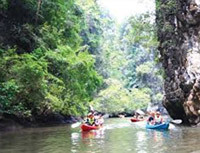 Talane Grand Canyon at Krabi is considered to be the best place for Canoeing Adventure by around the world paddlers. For sure that 2.5 Hours for canoeing here can make you feel very happy and funny adventure. 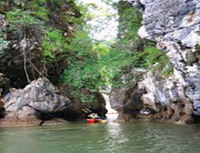 Monkey Cave Temple or Golden Declining Monk Cave is at the other name is the Signature Place for any tour trip which passed Phang Nga Province. It is a great place for every age of the People. 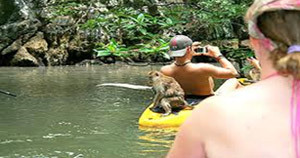 Funny with monkeys from safari, feel adventure with the temple located in the cave and pay respect for the holy area in the cave.